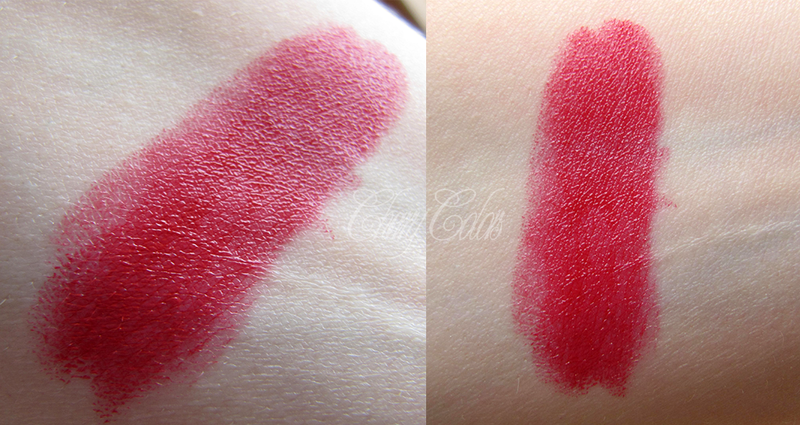 Review: Night out make up package - Cherry Colors - Cosmetics Heaven! How did the products work for me? Let us start with the shipping time - the products came from China and they came quite quickly to me (less than 30 days). Usually shipping from China takes quite a while! Now it is time for some reviews! The mascara comes in a wonderful packaging. I really liked it. It is gold with black lace and it looks excellent. The brush is this huge thing that is supposed to create voluminous lashes. 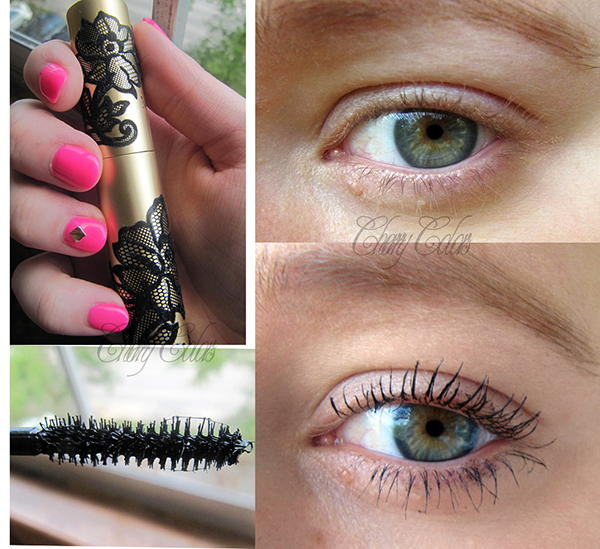 I have no problem with other mascaras and most of them work for me well. It was the same with this mascara. It colored my otherwise blonde lashes and gave them a bit of volume. Nothing special, but great for a daily look. 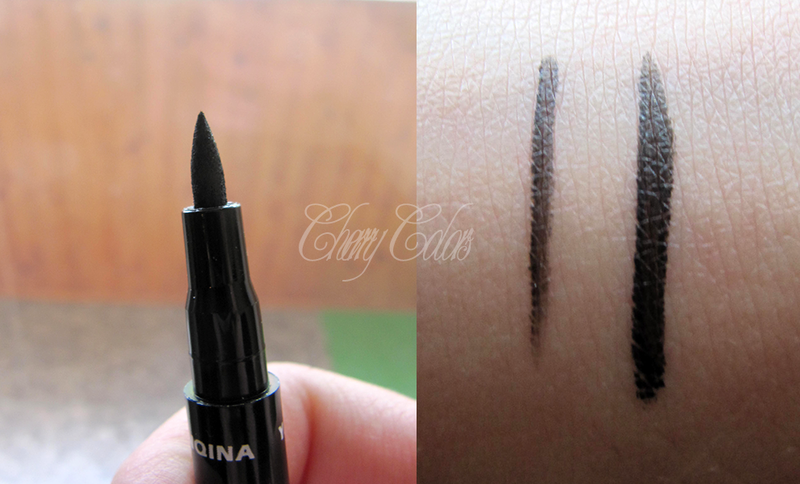 The formula of the mascara is a bit thicker on the brush but goes on quite watery. The eyeliner looks like something you would buy straight from Japan, pretty and useful. The applicator is a straight hard felt tip. Which means.. you need to be careful while you apply it if you don't want to poke your eye! The color payoff is nice and you can both do thin and thick lines with it. As I said - it takes some learning before it gets useful. I liked the color payoff, but I didn't like the hard tip. Also, it is supposed to be waterproof, but it melted with my tears (not real tears, just my eye is irritated kind of tears). 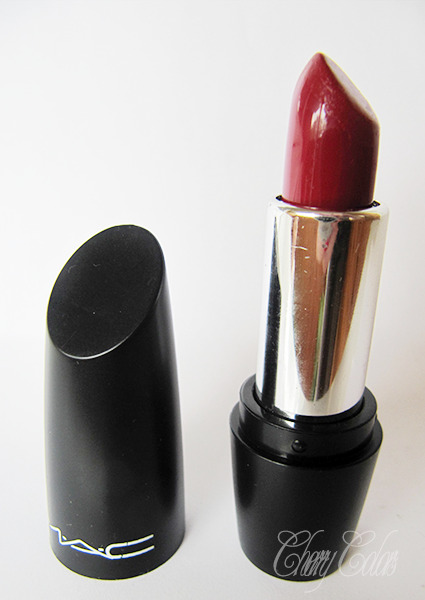 I was really disappointed to learn that this lipstick is an MAC knock-off. I mean I didn't research which color this is supposed to be, but the lettering MAC on it tell its tale. I tried to forget that when I was testing it (everything for an unbiased test, right? ), but the tingling sensation half an hour after application didn't help! 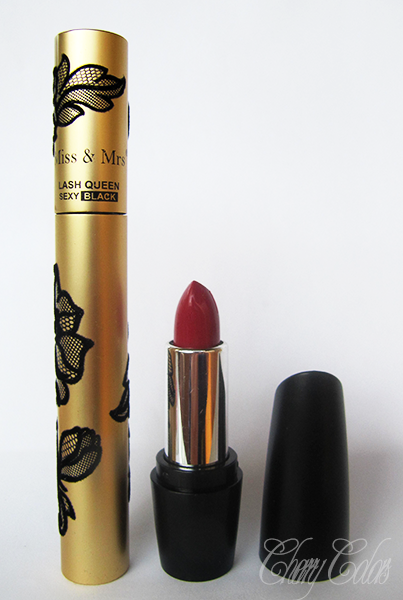 The lipstick was a dream to apply - creamy and hydrating. In the tube, it looks quite darker than it looked on my lips. It was also long lasting. I would give it a higher rating if it weren't for the knock-off thing and the tingling sensation because it is a wonderful color! The eyelashes come in a pretty box packaged separately - in the box, you can find 10 pairs of false lashes. 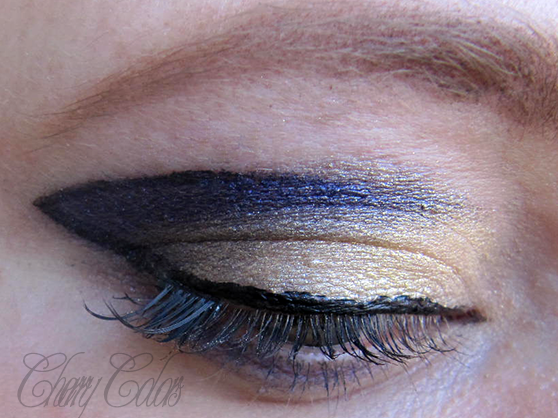 They are quite hard (I am used to hard lashes because I have plenty of cheap faux lashes!) and they do get softer with use (it helps if you bend them a bit with your fingers). I first used just a piece of some lashes for a look and next time I used full lashes. Once they are on it takes about 5 minutes to forget about them! And the good part is that they don't fall off alone, you need to rip them off (it's a first for me!). I liked that part because usually it's really easy to take them off and the inner corners want to get off before it's their time, too! But not with these lashes! Even if they are hard, they look great and stay on forever. Oh, my god! I was first worried because I read the ingredients and it says it contains formaldehyde. For those that don't know it - it transfers from mother's milk to babies and it may cause cancer. You see why I didn't want to use it? I am still breastfeeding and I am paranoid as hell. It didn't contain any warning about it, probably because it is made for another market. I decided to test it just a tiny bit before I toss it out. Well ... it is utter crap. Seriously. The formula is very creamy and non-sticky. Watery even. I couldn't glue the lashes for the love of god. I was trying for 5 minutes and the thing wasn't even sticky enough! In the end, I said duck it and cleaned all off. I used another glue to apply my false lashes. I am not impressed with this glue. Not with the ingredients, not with the formula and even less with its usefulness. I am happy with the mascara, lashes, and eyeliner, but I am disappointed with the lipstick and faux lashes glue. For the price of something less than 10€, it is OK. It is more like a hit or miss package. I saw that this package is now discontinued, but there are many many others. If you have the patience to toss the misses and want to get some makeup for cheap, then Tmart may be for you. If nothing else, it was an adventure ;).